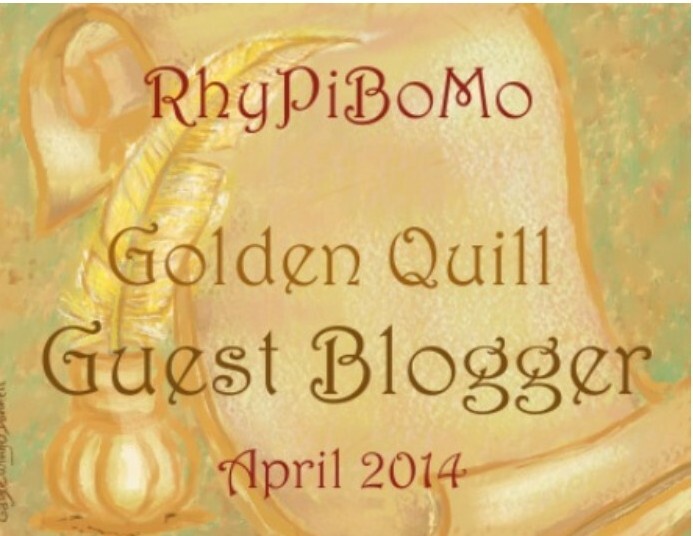 Today is day 18 of RhyPiBoMo! We are midway between learning how to apply poetic devices to our picture book writing and how to write a rhyming picture book. There is one more week of poetry info and then we delve into picture book writing the last week and a half. I thank you all for hanging in here with me! It has been quite a journey so far but hang on…there is plenty more to learn! Today’s guest blogger has quite a repertoire of distinguished credits to go with her name…not to mention the twelve books she has written! She was honored with the E.B. 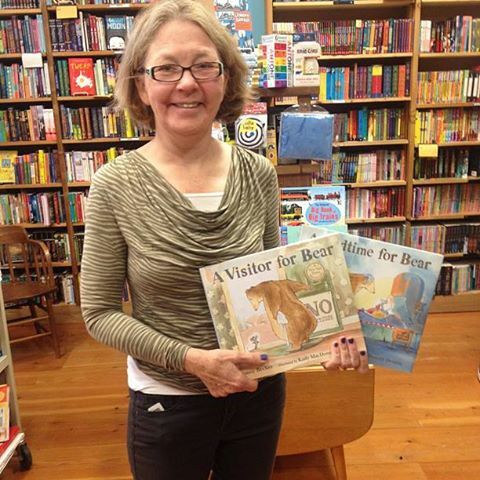 White Read Aloud Award for A VISITOR FOR BEAR. I think I would just die and go to picture book heaven if I won that award! I can’t think of a better honor to bestow a picture book author than to honor the lyrical, flowing language that makes that particular book a joy to read aloud…that my friends, is what we should all aspire to write! Needless to say, I am thrilled to have her here! Our first experience with rhyme was probably with nursery rhymes—simple perfect word matches—cat and hat, hog and jog, Horner and corner. But you can work with rhyme in subtler ways. One of my favorite approaches is to “tell it slant,” as Emily Dickinson was so fond of doing. Slant rhymes, also called near rhymes are rhymes created using words with similar but not identical sounds. Words like ground/down, play/stayed and even more tenuous matches like Dickinson’s delight/surprise and eased/gradually. In some near rhymes the vowels are similar; in some the consonants match. Why do I like to tell it slant? I love it for its rhythmic surprises. It can help you break away from the singsong, drumbeat that’s easy to fall into with perfect rhyme. But best of all, from a writer’s standpoint, it makes this whole business of writing in rhyme easier. It’s hard to tell a nuanced story in perfect rhyme—with near rhyme your word choices open up dramatically. It makes it a bit easier to do as Dickinson advices—to tell the truth but tell it slant. It can “ease” the telling–and the receiving—both literally and figuratively. “Let’s go the quiet way home. Hush. Can you hear it. Hush. Can you hear it? There are a couple bits of advice embedded in these lines. For one thing, if you’re going to use slant rhyme establish early that this is what you’re going to do. With my first stanza, I’ve signaled immediately that I’m not going with perfect rhyme (gate/play). But as you can see from my second verse, I am promising a similar rhythm and pattern to each stanza. And perfect rhyme at times (mows/grows). Notice also that I use internal rhyme—that is rhyme within the line itself not just at the end, such as “growls” and “gate,” “roar” and “mows,” “way” and “Kay.” Internal rhyme like that is often slant rhyme and poets use it all the time. Also, with the important moment—when I identify the object making the noise—I consistently use perfect rhyme (claw/paw, row/hoe). It creates a punchy contrast to the near rhyme. Just as Dickinson uses her one moment of perfect rhyme, kind/blind, to such powerful effect in her poem. One challenge of slant rhyme is it can get away from you. You don’t have the control of perfect rhythm and rhyme. In my book, “Just a Minute” I go so slant at times that I think I come perilously close to going completely off the track. 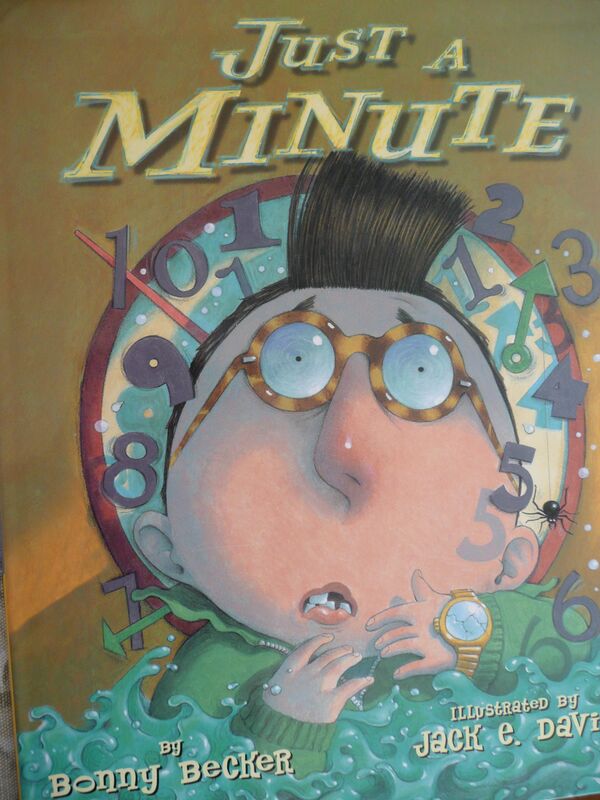 It’s a tall tale about a boy whose minute of waiting for his mother gradually seems to balloon into eternity. “Stay right here while I shop. “But you’ll take forever!” Johnny cried. He was stuck in the basement of Bindle’s again. All this by the time his mother returns. But this rather careening path of rhythm and rhyme works for a tall tale of time spinning out of control. Slant rhyme isn’t “cheating” and it can be a powerful tool for you for telling stories in rhyme. But when to use it depends, as it always does, on what’s right for your story. Don’t use it just to be lazy. 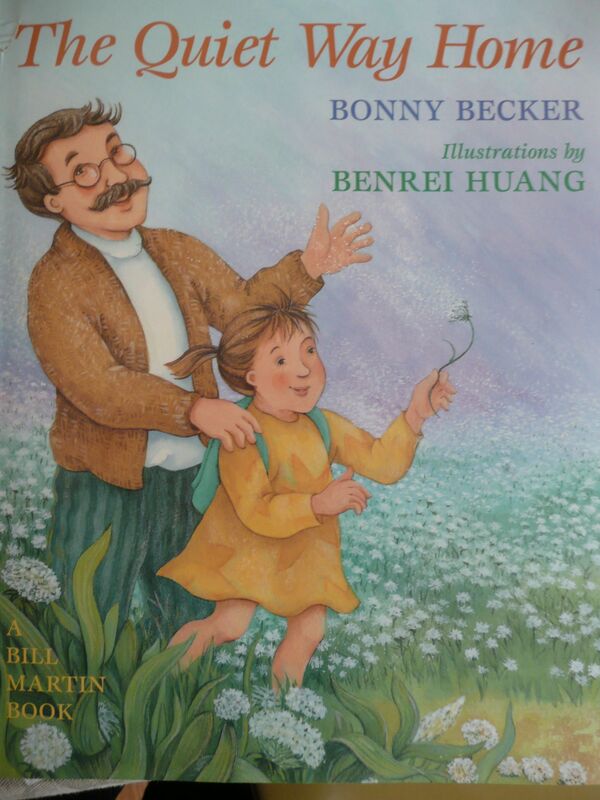 Bonny Becker is author of the best-selling Mouse and Bear books, including A Visitor for Bear, New York Times bestseller, winner of the E.B. White Read Aloud Award and Amazon’s Picture Book of the Year. Her latest in the series is A Library Book for Bear coming in September 2014. Her middle-grade novel, The Magical Ms. Plum won the 2010 Washington State Children’s Book Award. In all, she’s published 12 books for children. She is also an instructor for the Northwest Institute of Literary Arts, an accredited program for a Masters of Fine Arts in Writing. Okay…so what the H-E Double Hockey Stick are we talking about all this meter, foot, feet nonsense for again anyway? Haven’t we talked about this already? Right? Now that more of this poetry stuff is making sense, I hope that you can take it a step at a time and grasp the understanding of it all. You should feel more confident with the language so the concepts should be easier to grasp. Now that you have all these resources at your fingertips, you can refer back to anything that you are foggy about. What we are really studying is called Prosody! Prosody includes not only poetic meter but also the rhythmic aspects of prose. I don’t plan on ever walking around telling anyone what type of feet my picture book has and you shouldn’t either. I think that’s where we’ve gotten some flack from some who say that rhyming picture book writers aren’t poets and that we don’t need to know this stuff. I firmly disagree. We must understand enough about poetry to write it purposefully in our work. We must be able to edit and revise it when an editor says to “fix the meter in the third stanza.” I want to be able to have that conversation and be respected as a professional…and then actually know how to do it! That is why we are studying poetry. Should you know what a poetic foot is? Poetry is meant to be recited! That’s why we talk so much about the rhythm of the poem because it should sound like music with words when being said out loud. The number of beats per line of spoken poetry determines the name of the rhythm. Here is a little chart you can print and leave close to your desk for quick reference. The opening line of Shakespeare’s Sonnet 18 contains a pattern of unstressed and stressed syllables. 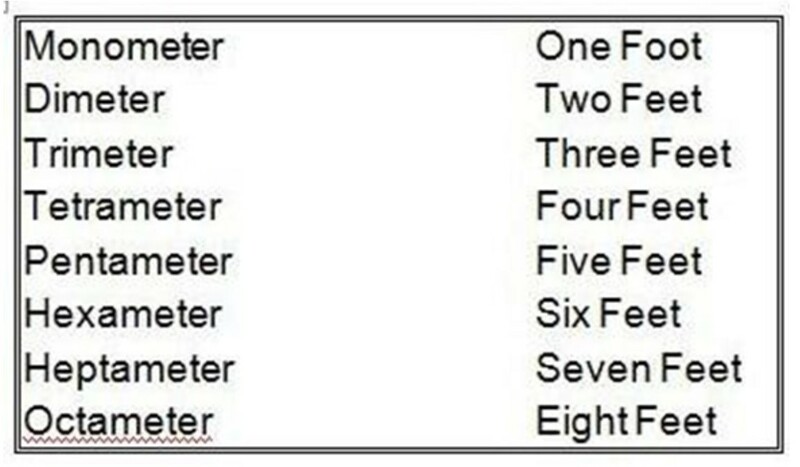 Each pair of unstressed and stressed syllables makes up a unit called a foot. This line contains five feet in all. So, that’s it for today as we will break down the foot types even further tomorrow and Friday. Let this digest…read it over a few times, look at this example below that I found and then read this all again. This goes into much more detail than I have but it is explained very well. I don’t have these books but I keep seeing them recommended as poetry resources! Terrific post about how/when to use slant rhymes–this is one I’m going to copy and keep! Loved the link to snappy scansion! Thanks Angie! Thank you Bonny and of course Angie. I was like, haven’t we talked about all this before? *wink* REVIEW is cool. I’d lie to read those books. I wonder if my library has them. Off to work on homework. Thank you both. It’s a lot to think about- to slant or not to slant! Interesting to read more about slant rhyme. And it was good to review meter…thanks, Angie and Bonnie. I’m not so sure about slant rhyme. It’s a little hard to understand and see the rhyme with it. I think I’ll stay away from it if possible. Too bad I have two left feet 🙂 Bonnie fabulous job with slant! Funny that I have written my first ever poem in iambic pentameter without knowing ALL this! This was really helpful Angie! Thank you! Great review! I needed it. So much information, Angie. 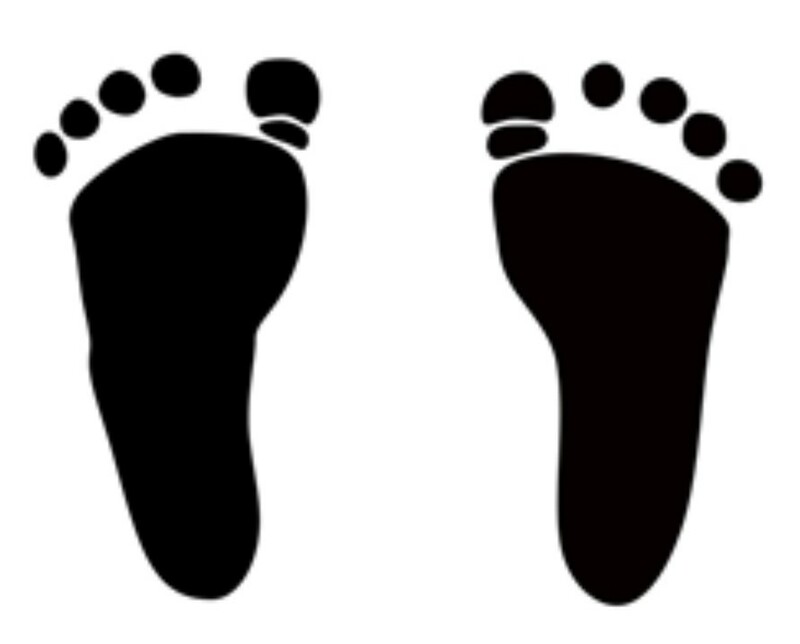 Seeing the seven types of feet listed with the foot type, style stress pattern and syllable count is excellent. Thank you Bonnie for explaining slant rhyming and how it it is full of rhythmic surprises. The slant rhyme in Bonnie’s tall tale is beyond me. I read. Reread. Went away and came back and reread and I still don’t get it. It looks like prose to me. Sigh. I am slowly but surely learning what all of these terms mean. I love it! Writing a poem in Iambic pentameter was a real challenge. I’m still working on it. Patience. It’s nice to revisit some of the earlier concepts here. I certainly feel like my eye for different metrical feet as well as the number that can appear in a line is strengthening. Thanks! Great lesson, once again– slowly catching up! Thank you for the insight into slant rhyme. Appreciate affirmation slant used properly can work.